Lopez’s acts of mass violence distinguish him from his fellow service members; still, he appears to have shared with many others the experience of coming home to a country unprepared to meet his needs. 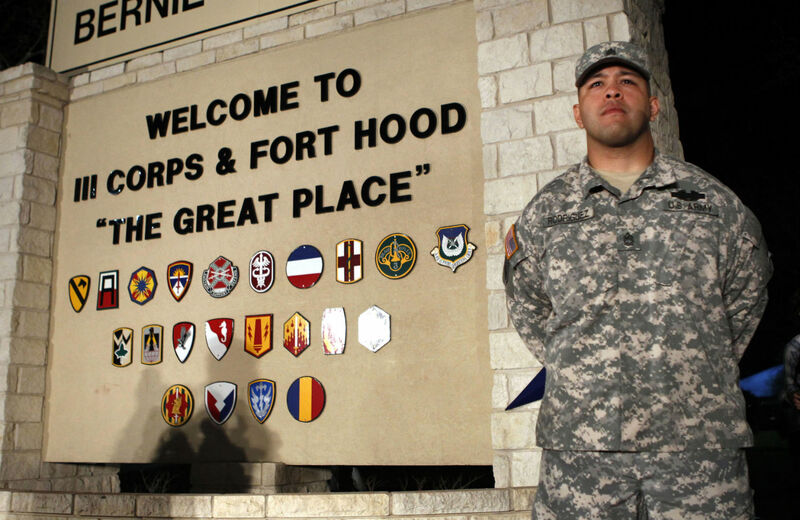 Ivan Lopez, the man military officials say opened fire yesterday at Fort Hood, Texas, killing three and wounding sixteen, reportedly suffered from depression and anxiety, and had trouble sleeping. Doctors prescribed him a number of drugs, and evaluated him for Post-Traumatic Stress Disorder. According to Secretary of the Army John McHugh, who spoke to the Senate Armed Services Committee on Thursday, nothing on his record or in a psychiatric evaluation last month indicated he would harm himself or others. If the shooting shocks and discomforts, the fact that more than half of all service members who served in Iraq and Afghanistan say their mental or physical health is worse after their deployment should, too. Lopez’s act of mass violence distinguishes him from his fellow service members; still, he appears to have shared with many others the experience of coming home to a country unprepared to meet his needs. Of the 2.6 million men and women sent to Iraq and Afghanistan or to supporting operations overseas, more than half report that the government is failing to meet theirs. Nearly 60 percent say the Department of Veterans Affairs is doing only a fair or poor job. And one in two know another service member who, like Lopez, committed or attempted suicide. Since at least 2008, more American soldiers have killed themselves at home than have died abroad. The VA has responded by expanding its mental health funding and adding thousands of people to its mental health staff. But less than a quarter of veterans are enrolled in the agency’s healthcare system, and more than a third of enrolled veterans who sought psychiatric appointments in 2013 faced at least a two-week wait. Doing “more” doesn’t only mean boosting the VA budget. Veterans experience poverty, homelessness, unemployment and improper foreclosures more acutely than Americans overall, meaning that slashing the safety net, failing to extend unemployment insurance and other moves towards austerity create extra challenges for veterans grappling with the aftershocks of service and navigating re-entry to civilian life. Congress had an opportunity in February to act on one of the largest legislative packages for veterans in decades, which Sanders sponsored. But Senate Republicans killed the measure, saying it was too expensive, never mind that the $21 billion price tag would have been paid for largely by the drawdown in Iraq and Afghanistan. For perspective, $21 billion represents about .6 percent of government spending in 2013. Lopez’s mental health issues may have had nothing to do with his military service, and it would be a mistake to project his crimes onto other soldiers seeking treatment. The point remains that lawmakers spent trillions taking violence abroad. It’s hard to deny that some of it is coming home again, in the form of suicide and domestic abuse, and in the daily violence of homelessness and unemployment. It’s simple enough to tally what price Congress thought worthy for the armored vehicles and the aircraft carriers and the missiles used for our recent wars. What about the people?